Mikel Obi is now a British citizen. 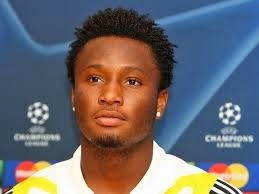 Nigeria Inter­national And Chelsea of England mid­fielder, John Obi Mikel, is now a British citizen. The Super Eagles player had waited patiently since he applied for the prestigious British passport last year and was delighted to get a positive feedback from the relevant authori­ties last week. Mike became eligible for citizenship, having spent more than eight years in England following his transfer to Chelsea from Lyn Oslo of Norway in 2006.